The national award, which was granted at 'exemplary' level, is issued to higher and further educational institutions which demonstrate a commitment to the support of students in and leaving care. The Quality Mark was first awarded to LSBU in 2010 and the renewal recognises LSBU's ongoing support for its care leaver students, which includes a guarantee of year-round accommodation, a travel grant and bursary, and a mentor. "We know that care leavers who get to university work extremely hard to do so," explains Mark Ellis, LSBU's Widening Participation Manager. "They do however need extra support with finance, transitioning to university living and additional mentoring to help them succeed and make the most of their higher education experience. "LSBU has a large number of care leavers and I am pleased that the university's dedication to care leavers is acknowledged by this nationally-recognised award. 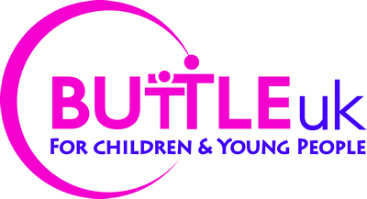 "The Buttle UK Quality Mark promotes LSBU as a place that welcomes care leavers and empowers them to reach their full potential." The Quality Mark was introduced to address the progression rate of one of the most under-represented groups in education and help overcome the various challenges facing them. Statistics indicate that only 7% of care leavers are at university by age 19, compared to 38% of young people in the general population.